Felicitie Gillette of Lake Hernando early Wednesday, there was no way for her to know she’d soon become the latest statistic in an alarming and exceptionally Floridian trend — alligator attacks. 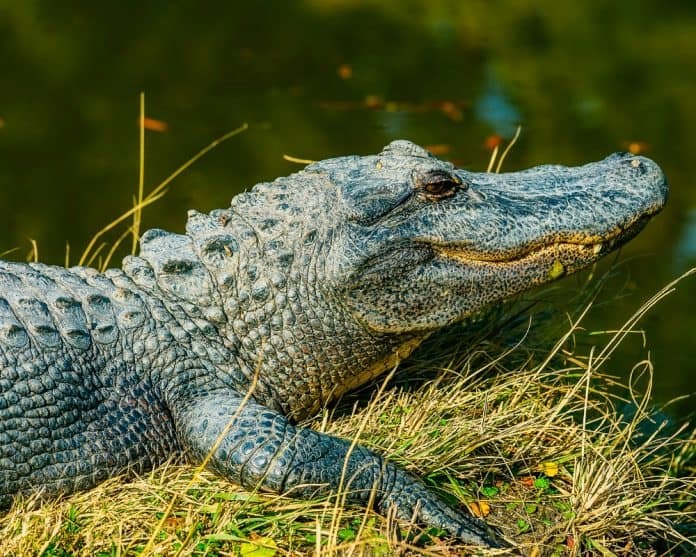 According to the Citrus County Chronicle and Tampa Bay Times Online, Gillette, 24, was a homeless woman bathing in the lake at about 1 a.m. on Aug. 24 when the alligator grabbed her arm and tried to pull her under, according to the . A friend helped her escape, and she was treated and released at a local hospital, the Chronicle reported. Gillete was fortunate to escape, but other Floridians haven’t been as lucky in recent years. “The American alligator, one of the Sunshine State’s most ubiquitous reptiles, wasn’t always so. At one point, they were hunted to near extinction and placed on the endangered species list until it was taken off in 1987. Since then, scientists say, gator attacks have been on the rise in Florida. Humans may be to blame. University of North Florida researchers found that humans were the key culprit blame for conflicts. On June 29, 2018 a teenager in Ocala National Forest was chased up a tree by large alligator. A law enforcement officer came to the rescue of Jordan Broderick, a 15 year old girl who had dangerous encounter with an alligator at Alexander Springs in Ocala National Forest on Monday. The girl was stuck in the tree for around half an hour as the alligator, which was ten feet in length, continued to menace her. According a report from the Sun Sentinel on Tuesday, Lake County deputy Mitch Blackmon used an AR-15-style Bushmaster rifle to destroy the alligator after it chased Broderick, who is from Titusville, up a tree. Blackmon responded to the scene, where he found the teen in distress as the alligator encroached the deputy’s area. An incident report disclosed a single 223 round from Blackmon’s Bushmaster AR1 killed the alligator without causing any injury to Blackmon or Broderick. After shooting the alligator, Blackmon filed a report which the Sun Sentinel quoted in its article. “My presence failed to scare the alligator away, and it began encroaching on my area at which time I fired one single 223 round from my Bushmaster AR15 killing the alligator,” Blackmon noted. Earlier this week, Lake County released audio of the parents’ 911 call. April through July are among the most active months for alligators, which leads to more sightings and interactions with humans. While alligator attacks are rare and fatalities are less common than deaths from lightning strikes, several attacks have occurred during the past five years. Last month, a woman was killed by an alligator in Davie. In 2016, a fatal attack at Disney World gained international attention when Lane Thomas, a toddler from Nebraska, was pulled from the shore and killed near the Grand Floridian resort. Thomas body was eventually recovered. Disney increased its warning, destroyed multiple nuisance alligators in the area and built a statue in Thomas’ honor. One year prior to the Disney attack, Rachael Lilienthal lost her arm after a alligator attacked her in the Wekiva River. Lilienthal survived her attack, returned to her teaching career as a professor at Rollins College, and recently appeared in Animal Planet’s TV series “I Was Prey.” Other non-fatal attacks have occurred in various rivers and lakes. Since 1973, 26 fatal attacks have been recorded in Florida.